Crack addiction is a very powerful problem that almost always needs to be treated by long-term addiction treatment centers. The problem with crack addiction, especially in earlier stages, is that because the person is not using every day the problem is sometimes overlooked in severity. Crack addiction is considered to be one of the worst addictions usually sending the addict into a less than glamorous lifestyle. Most people addicted to crack use the drug in spurts. In other words, they use for 3-5 days straight and then crash. After they sleep for a solid 2 or 3 days and get some fluids and food in them, they then manage to go for a period of time before using again. Crack addiction is one of the hardest addictions to overcome and get checked into addiction treatment centers because with the time between binges they think they are either fine or won’t do it again or even think the problem is not as bad as it is. The reality is that the problem is not the crack, it is the person who is smoking it. Crack has become a huge problem, but why? Because there is something in the addict’s life that is uncomfortable to confront. Addiction treatment centers teach addicts how to confront situations without escaping with drugs and or alcohol. Families, unfortunately, focus on the times between binges where the addicted is doing better. The best time to get a crack addicted person into addiction treatment centers is right after a long binge. 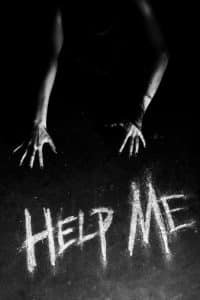 If you are a crack addict reading this you know that this is when you are at your worst and are most likely to accept help. Trying to convince a crack addict into addiction treatment centers after they have slept for 3 days, eaten, and not used for another two is highly unlikely. Crack addiction treatment centers are most effective when the treatment center is far from where the addict lives and at least 90 days in length. Some problems that addicts and families of addicts face are being told that in order to enter addiction treatment centers that the addict first needs to hit bottom. This is not true because bottom can usually end up in death because of the terrible lifestyle that is usually associated with crack addiction. Addiction treatment centers are different every time you call one. How do you know which is the best? It is always best to consider addiction treatment centers that are long term, such as 60 – 90 days. 28-day addiction treatment centers statistically do not have the success that long-term addiction treatment centers have. The other important element is the distance from home. Most addicts who fail at addiction treatment are the ones who go for a month or less and go close to the people, places and things that they are used to. The last thing we need is a crack addicted person standing around the smoking deck at some local rehab learning from the other clients where to buy the best crack when they are discharged. Families think it is nice to have them close by for visitation, and rightfully so, however, the person who needs help needs to be considered first. When choosing the appropriate addiction treatment centers for crack addiction it is best to consider what is best for the addict and not anyone else. The longer you stay in crack addiction treatment centers and the more you follow the direction of the discharge plan the greater the success at staying sober. Remember the addict’s way did not work, and it takes a long time for them to be able to make rational decisions, please consider that when choosing the best addiction treatment centers. We also have more information about other types of Addiction Treatment Centers. Call us now to help you choose the correct facility.